Southwick Golf Course in Graham debuted in 1969 as a nine-hole layout designed and carved along the meandering banks of the Haw River by owner Elmo Cobb. Hoping to appeal to golfers who might moonlight as Civil War buffs, Cobb named his creation Confederate Acres Golf Course. Five years later, he opened a back nine. Cobb ran the operation with his wife, Shirley, who became legendary through the years for the tasty hot dogs she served to golfers at the turn. Eventually, the Cobb’s would sell Confederate Acres, and go on to design and operate Sourwood Forest in Snow Camp. Elmo later designed Quaker Creek GC in Mebane. Now in his 90s, Elmo Cobb continues to tee it up with a senior group several times a week and regularly breaks 80. Also, an avid golfer, Shirley participated in ladies golf associations at several area courses. A true competitor, she made three holes-in-one and was still able to break 100 at age 82. She passed away in 2013. Celebrating its 50th anniversary in 2019, their original Alamance County golf complex still bears certain similarities to the early days, but many things have changed, as well. Burlington businessman Jim Smith purchased Confederate Acres in 1987 and changed the name to Southwick. In 1998, he oversaw a renovation that included an upgrade of the bermudagrass fairways and the irrigation system, along with the construction of additional bunkers and tee boxes. In 2007, the ownership group tore down the old clubhouse and maintenance facility and built condominiums around the 18th hole. Now, a modular home serves as the Southwick clubhouse. At the beginning of 2015, longtime Alamance golfer Tony Byerly, who was managing Brookwood Golf Course in Whitsett, took over management operations of Southwick Golf Course after the former operator relinquished control. Seeking to cut down on expenses, Byerly assumed the same general manager title at Southwick that he holds at Brookwood. Mike Noah doubles as the course superintendent at Southwick and Brookwood, while Willie Noah serves as Byerly’s business partner and spends most of his time running Brookwood. Byerly, 44, grew up in Gibsonville and played high school golf at Western Alamance. Following graduation, he began playing professionally on a variety of mini-tours. He was on the staff at Brookwood off and on from 1995-2006. He spent from 2006-08 at Quarry Hills and from 2008-11 at Southwick. “They should have made a ‘Haw River Golf Trail’ with the number of golf courses that go right through the Haw River,” he says of the number of area golf courses. Through the years, Byerly has captured more than 150 regional, two and three-day tournaments. Last November, he won the seventh annual Graham City Amateur at Southwick for the sixth time with rounds of 69 and 62. Byerly has shot 59 at Brookwood several times and has fired a 60 at Southwick “more times than I can remember.” He said he has arrived at Southwick’s final hole with a chance to shoot 59 a half-dozen times. Byerly said Southwick’s small and undulating, manicured bentgrass green complexes bring to mind the designs of Donald Ross. New tee boxes allow Southwick to play nearly 6,000 yards from the back tees and about 5,500 from the whites. Southwick’s dramatic elevation changes, winding creeks and towering forests allow for some spectacular views while navigating this par-71 layout. Southwick’s most recognizable hole is No. 14, a par 5 that double doglegs to the left, with the Haw River hugging the entire right side. However, the hole lost one signature hazard — a large tree on the right side of the fairway — during a storm in 2013. Through the years, Southwick has become a prominent state destination for golfers. Numerous regular groups enjoy Southwick throughout the week, and the course plays host to plenty of area high school matches. 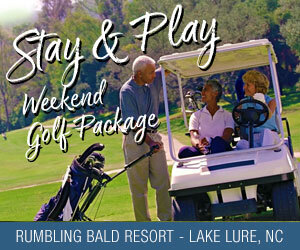 Located just a few short turns off I-40 exit 147, Southwick also lures golfers from Chapel Hill and Durham, as well. 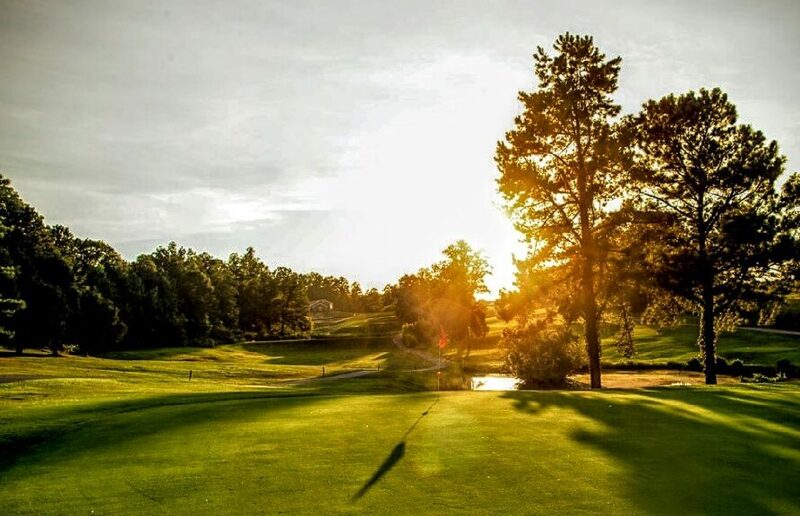 As Elmo Cobb originally designed it, Southwick is a short course and senior friendly — a hidden gem that can be enjoyed by any level golfer.